﻿ So, you want to be a bike instructor? Almost any motorcyclist will have sat and thought about becoming a bike instructor. Riding bikes and being paid – what’s not to like? However, away from the sunny days and open roads, the world of motorcycle instruction is far more complex than many would imagine. ART (Advanced Riding Techniques) Motorcycle Training, Crawley, have been running instructor taster days for seven years, allowing budding teachers to get to grips with exactly what will be asked of them on a daily basis, before either party invests any time or money into someone’s journey to becoming a fully-qualified instructor. ART works out of multi-franchise dealership, P&H Motorcycles and is run by vastly experienced instructor, Steve Manning. Steve learned to ride a bike when he was 11-years-old on the local fields, before taking his full test in 1984 aged 17. The well-established school is also the only one in the country to have approval from more than one manufacture; recognised by Honda, Kawasaki and Ducati. Alongside this, they also have accreditation from the MCIAC (Motorcycle Industry Accreditation Centre), meaning they go above the minimum legal standards for training, in order to ensure a greater quality of education for the customer. Steve runs his taster days with the help of Dave Stewart, who has been riding for 42 years and is one of the school’s instructors. Despite such a long time in the saddle, his enthusiasm has never wavered. We went along to such an event on Sunday October 1. The day began with everyone introducing themselves; detailing our biking history and why people wanted to become instructors. 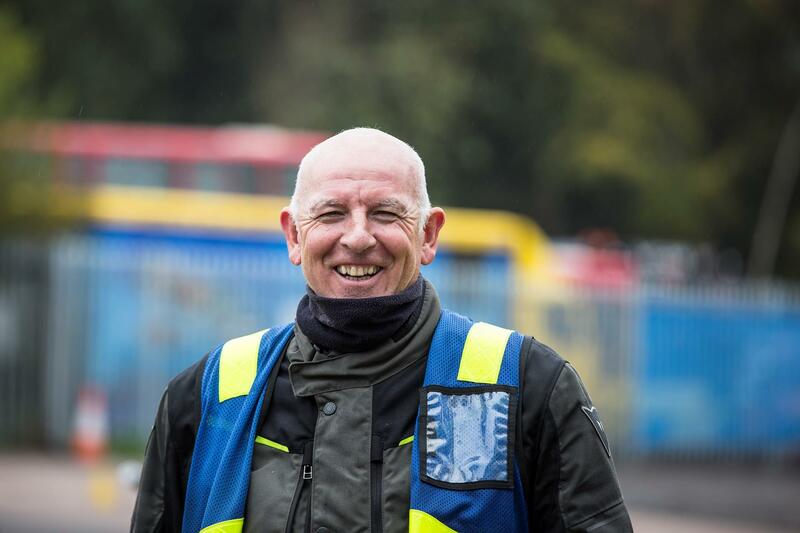 After learning about one-another, Steve outlined the process of becoming an instructor to the class, saying: “When you want to become an instructor, you go to your local school and train to become a CBT trainer first. “Once you have committed a certain amount of time to it, then we can say to you you’re ready to teach a CBT of your own, still being supervised. This is called being down-trained. You are part qualified then – but only to do CBTs. “You can then only work for the school that you have trained with and you get a CBT-level yellow instructing card. You can then apply to go to Cardington training centre in Bedford for a two-day assessment course to become a full instructor. They’ll tell you straight away whether or not you’ve passed. One of the things Steve and Dave were keen to push the most on the day was catering to everyone’s individual needs and learning requirements, which stretches far beyond motorcycles themselves. “We might have someone who needs to take a break because they have prayers on a Friday. We need to be able to accommodate that.” Dave said. Another point to consider as an instructor is setting a good example to your pupils. 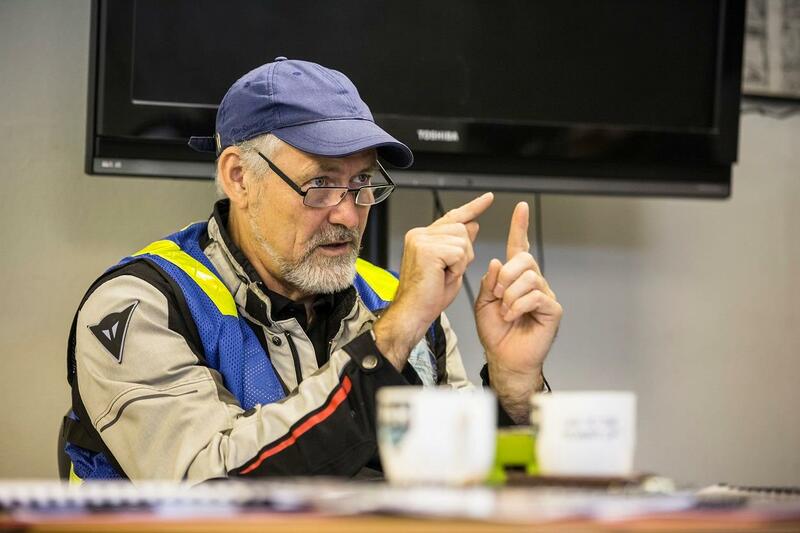 Most of the people passing through a training school will have hardly ridden before, if at all, and so it is the responsibility of the instructor to get them up-to-speed, as well as understand why each manoeuvre is important. Dave was quick to remind everyone of this fact, saying: “What’s the job that we are doing? Are we telling them about bikes? Even if you’re the best motorcyclist in the country – is that any good to them? No, this is about them. What’s it like once you’ve made it? Another instructor present on the day was David Greig, 56. He has been at ART for four years and has been teaching for a decade. He said: “The development side of it and the teaching side of it is what I like about it – the people you meet, too. “You don’t do this as a job. If you do it as a job, you’re in the wrong industry. You’re not going to be a millionaire and you do it because you enjoy it. I want to see people do well and, more importantly, understand their training. As much as you try and drill it into a prospective instructor that you need to be sympathetic of a new rider, it can be hard to get into that mindset of having never ridden again. Step forward the backwards CG125. Built by Steve from old, broken bikes, the little Honda is wheeled out to remind instructors just how alien the world of motorbikes is when learning to ride. Designed to challenge all of your prior riding knowledge and skill, the clutch and front brake levers have been reversed. There’s also a forward-twisting throttle – again on the wrong bar. For added confusion, the starter button is also backwards and on the front of the bar. Got all that? AT 16 – CBT – 49cc geared or automatic, restricted to 28mph. AT 17 – CBT – A 125cc machine on L-Plates, limited to 15bhp, with no pillion or motorway riding. AT 17 - A1 Licence – A full licence for a 125cc machine, limited to 15bhp, with the ability to ride with a pillion and on motorways. Cheaper insurance, too. AT 19 - A2 Licence – A full licence for any A2-compliant bike. These (new) are machines producing up to 47bhp. The maximum power to weight ratio is not allowed to be more than 0.2kwh per kg. Any bike producing more than 94bhp as standard can’t be restricted and ridden. AT 21 - A licence – If you did your A2 licence and have had it for two years, you can take your full, unrestricted licence at 21; otherwise known as the A licence. 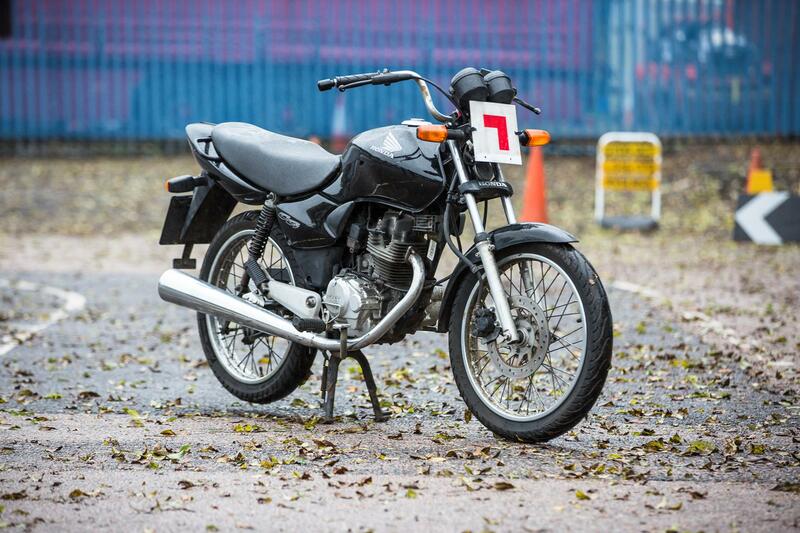 AT 24 - Direct Access (DAS) – This is a test done after a CBT and theory test to allow you to ride any size and power of motorcycle (the A licence). “We currently have 31 accredited schools, with 30 working towards accreditation and a further four who are signed up to the scheme, but have yet to start the process.